EU Recognizes Crucial Role Morocco Plays in European-Mediterranean-African Relations - The Maghreb Times ! 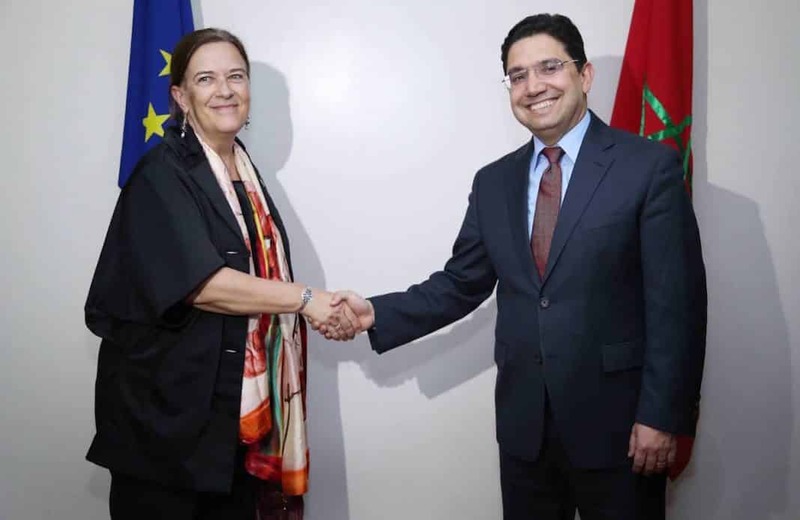 The European Union (EU) has expressed its support for the “crucial” role Morocco plays in Africa and the Mediterranean. The remarks were made by co-chairwoman of the Morocco-EU Joint Parliamentary Committee, Ines Ayala Sender, yesterday in Rabat. During a meeting with members of the Morocco-European Union’s (EU) Joint Parliamentary Committee, Sender stated that the EU wants to revive Morocco’s role in the EU-Morocco-African Union triad after a meeting with Foreign Minister Nasser Bourita. The Committee’s 8th meeting will take place from April 18-19 in Rabat. Meanwhile, Habib El Malki, Speaker of the House of Representatives, has called for a review of the Morocco-EU neighborhood policy launched more than 10 years ago. El Malki said that “Morocco today is not that of yesterday” and that “the regional and international environment has undergone rapid changes,” emphasizing the important democratic development realized by the Kingdom. He also underlined the strength of Moroccan-European relations, which are of a strategic nature. As well, he highlighted the particular conditions and instability which continue to prevail, particularly in the Mediterranean area. In this context, El Malki underlined the importance of institutionalizing a tripartite dialogue between Europe, Africa and the Arab world, with a view to discussing common challenges and finding appropriate solutions to the problems that are facing the region. For her part, Sender highlighted the strategic importance of Moroccan-European relations, calling the Commission a mechanism for joint action between the two parties, as well as a space for dialogue and exchange of views on issues of common interest. During her meeting with Bourita, she congratulated Morocco on its return to the African Union (AU). She assured the Moroccan government of the Joint Parliamentary Commission’s willingness to support and “make more visible” all of the Kingdom’s efforts in the fight against radicalism and terrorism. Sender also stressed the need to review the European Neighborhood Policy to bring it closer to the neighbors of the South.